Suffering can be used to discover what lies beneath the symptoms of disease…helping in our quest for recovery and prevention. Suffering usually involves uncomfortable thoughts, feelings, and sensations. We need to use these, not just get rid of them using drugs, painkillers and the like. This is akin to throwing the baby out with the bathwater. If we eliminate our suffering but learn nothing from it then the suffering may return…this time stronger than before. On the other hand, if a disease is self limiting, easily managed and disappears without consequence or recurrence, there’s no need to do anything other than relieve the symptoms and end the suffering. The severity of the disease and whether it recurs usually dictates which course to take. If it keeps on coming back, we’d be better off taking a look at what’s behind it. 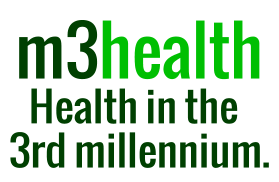 The m3health Program goes behind the outward signs of the disease to the root of the problem. It engages the sufferer himself.